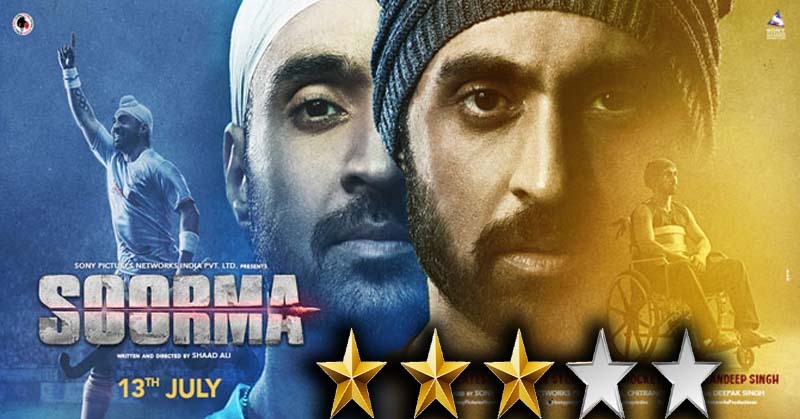 The biographical drama film, Soorma has been released and the viewers are immensely entertained by this one. The film is based on the real-life story of hockey player Sandeep Singh who returns to the national squad after hitting the rock bottom. Diljit Dosanjh and Taapsee Pannu are in the lead roles in the movie. Diljit has completely impersonated the Indian hockey player Sandeep Singh and it seems like he will deliver an epic performance. 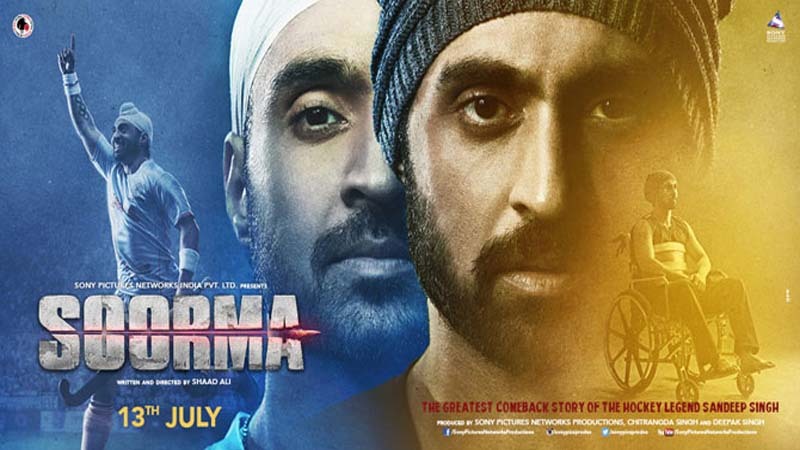 Soorma is a story of the international hockey player Sandeep Singh, played by Diljit Dosanjh, who was paralyzed and used a wheelchair for two years after an accidental gunshot injured him in 2006. The film’s tagline reads “The Greatest Comeback Story of the Hockey Legend Sandeep Singh”. Fighting against all odds, Sandeep got back on his feet and made a comeback to international hockey in 2008. It is hard to spot physical differences between, Diljit Dosanjh and the real Sandeep Singh. Moreover, Diljit has physically transformed himself to fit in the shoes of a national level hockey player. And, after the first few minutes we forget that we were watching Diljit Dosanjh, it felt like it was the real Sandeep Singh and the real story happening before us. Furthermore, Taapsee Pannu is playing the role of Harpreet who is also a hockey player. She also seems pleasing in the role. Apart from this, Angad Bedi is also playing a key role in the movie. The music of the movie is composed by Shanker Ehsaan Loy with lyrics by Gulzar. Contestants of the Talent Hunt show Rising Star, Hemant Brijwas. The trailer also encompasses musical preview which is pleasing and eventually channels a sense of patriotism and struggle. The story is quite inspirational. There are many other sport-biopics are coming soon and the thing that makes it different than other sports biopics is the struggle and never quitting attitude of the protagonist. With pleasant music and amazing work from the actors, the film bags 3/5 stars. Check out the trailer for the movie here. Are you excited for the movie? If you have already watched, you can share your reviews in the comments.